Location of the quake on Jan. 24, 2019. 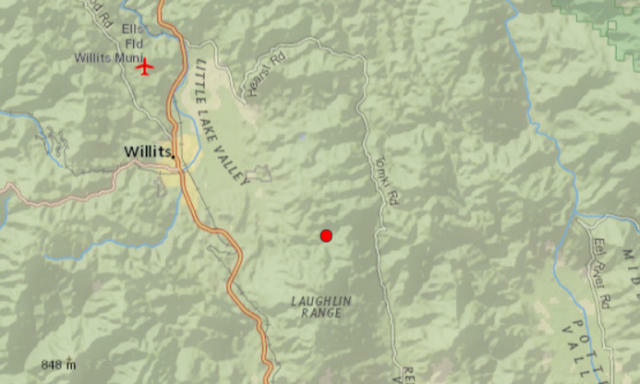 WILLITS, 1/24/19 -- A small earthquake jolted Willits this morning at about 7:30 a.m., registering a magnitude of 2.7, with an epicenter 6 miles southeast of town, in the Pine Mountain area, and a relatively shallow depth of .4 miles. 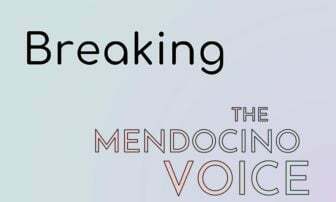 The quake was preceded by about 10 minutes, by an even smaller of magnitude 2.1, in the same area, which might've been too small to feel. That one hit at 7:21 a.m., 5 miles southeast, at a depth of .4 miles. 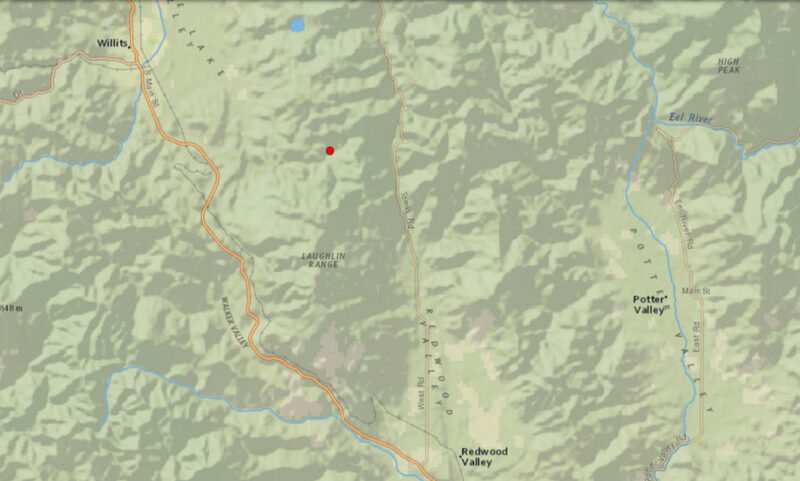 There are no reports of damages from this tiny quake, but it may have woken a few people up.